The “Horton Machine” plugin, formerly known as JGRASS, is now available to be installed on gvSIG 2.4. This plugin has a new toolbox with hundreds of different geoprocesses, added to the more than 350 geoprocesses included in gvSIG Desktop. To download this plugin you have to open the “Add-ons manager” (from “Tools” menu) and select the “Installation by URL” option, connecting to the URL by default. At the next window you will select “Hydrology” option at the list at the left side, and you will mark the only plugin available. Then you will accept the rest of the windows (if you didn’t have the base plugin it will be installed too) and after finishing you must restart gvSIG so that the changes have an effect. Once gvSIG is opened, you can access to the “HMachine”, where you will find the new toolbox with the geoprocesses. During the 3rd gvSIG Festival there will be a presentation where the Horton Machine plugin management will be shown. It will be available from the “Communications” section at the event website from March 23rd. 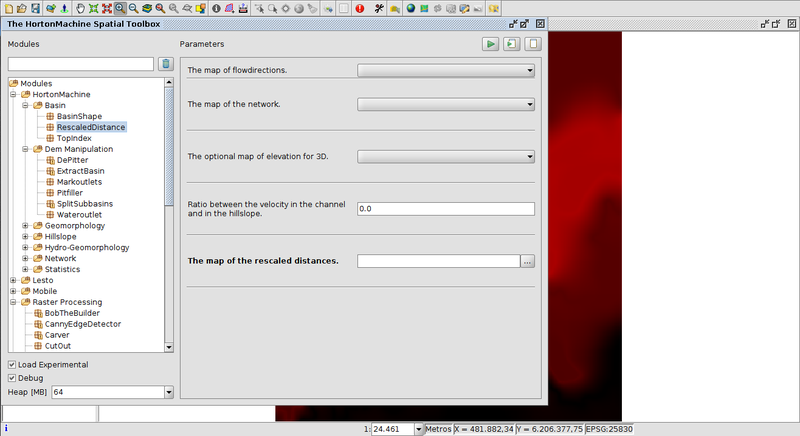 This entry was posted in development, english, gvSIG Desktop, testing and tagged Geoprocessing, gvSIG 2.4, Horton Machine. Bookmark the permalink.